Do you remember a simpler time when there were no computers with Internet service full of information? You actually had to leave the house and go to a library to check out one of those Encyclopedias. If you were lucky enough, and had the money, your parents might purchase a set of books from Encyclopaedia Britannica to enrich your learning experience. Encyclopedias still exist, but as the Internet has taken over everything that we do, the need for them is gone. 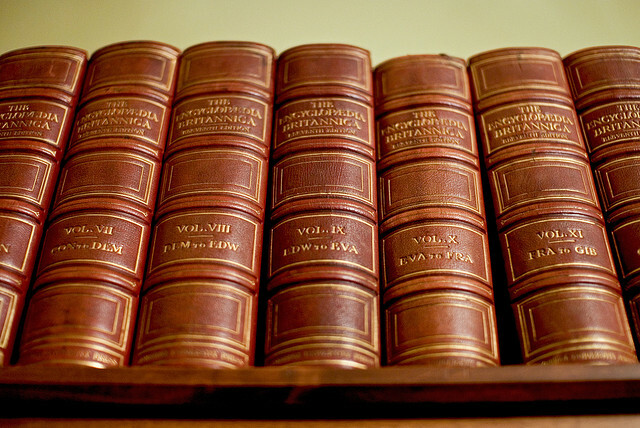 To that end, Encyclopaedia Britannica has announced that after 244 years of doing business it is going out of print, according to a report by Media Decoder. To be completely honest, these print dinosaurs have been out of style since the Internet was born, which is about fifteen years now. I’m not quite sure what has taken the company so long to realize that it was losing money by continuing to print books, but either way, the time has come to say goodbye. The company will continue to focus on its website, but that might be a lost cause already given that Wikipedia has become the go-to source for information, especially when you Google something that interests you. The last set of books will feature an update for the year 2010. I will always remember the Encylopedia fondly, but will not miss how much they weigh or how quickly they’re outdated. Still though, it’s crazy to think that generations to come will never get to see one unless they visit a museum. Want to download all of Wikipedia to your iPhone or iPad? There’s an app for that.